After General Sherman burned Atlanta in 1864, he burned almost all of the stately plantations on his march to the sea, but one small town was totally saved. Madison, Georgia, just sixty miles east of Atlanta, was the home of Senator Joshua Hill, who had been a close friend to Sherman’s brother at West Point, and was also a friend of the Union, having been the sole Georgia vote against succession. If that had not been the case, over 100 of the 19th century buildings that stand today would have been destroyed. In the town, “…too beautiful to burn.”, one of the largest collections of antebellum buildings in the South draws tourists from the world over. 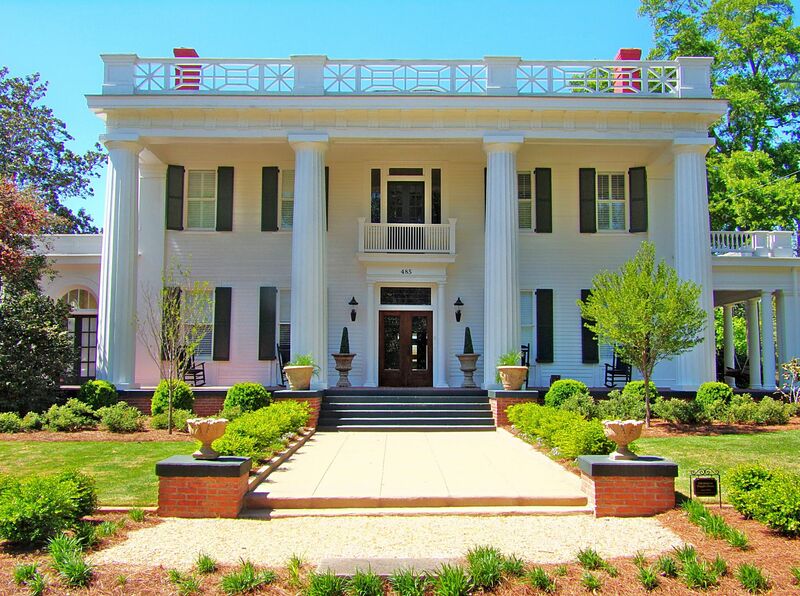 Madison is a national treasure of antebellum buildings, and its architecture stands as a testament to the time when cotton was king. 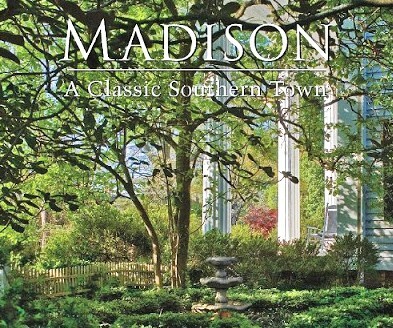 Today, travel magazines call Madison “The prettiest little town in America”. International travel magazines call her, “One of 17 picturesque villages in the world that you MUST visit.” With so many buildings on the National Register of Historic Places, Madison has become a destination for lovers of history and architecture alike. Who can blame them? 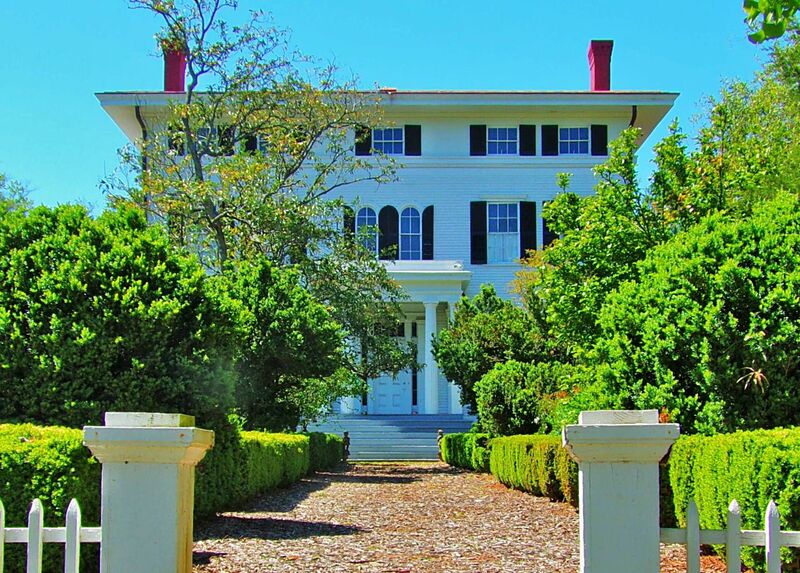 Above and below is the circa 1851 mansion known as Boxwood. 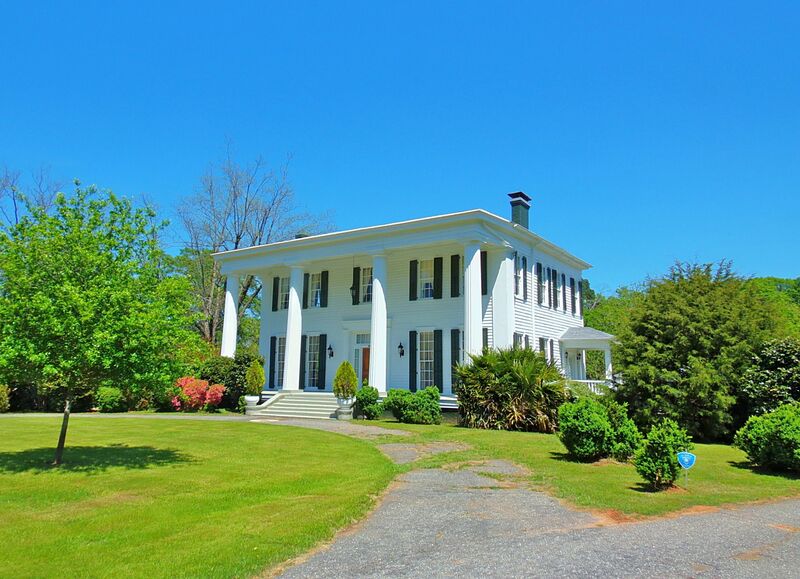 Above and below is the circa 1851 Greek revival house known simply as Honeymoon. 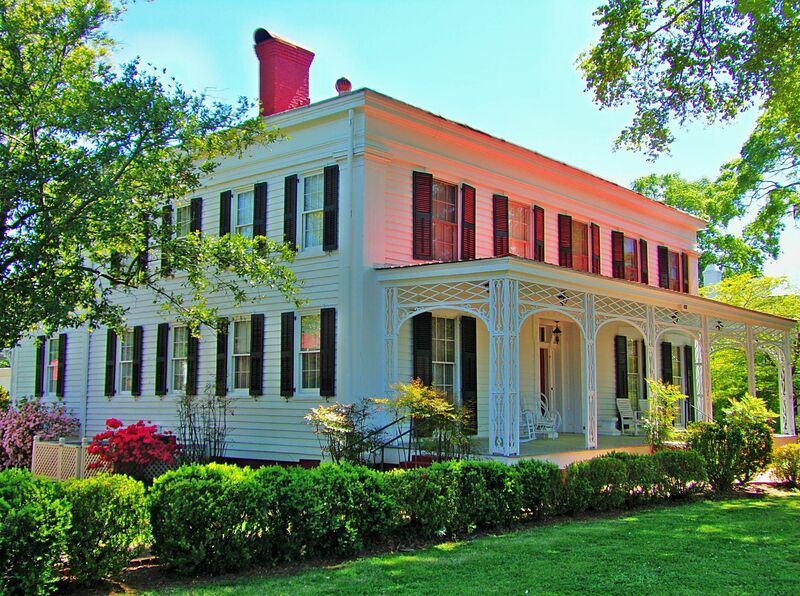 Heritage Hall is one of the oldest large homes in Madison, built in 1811. 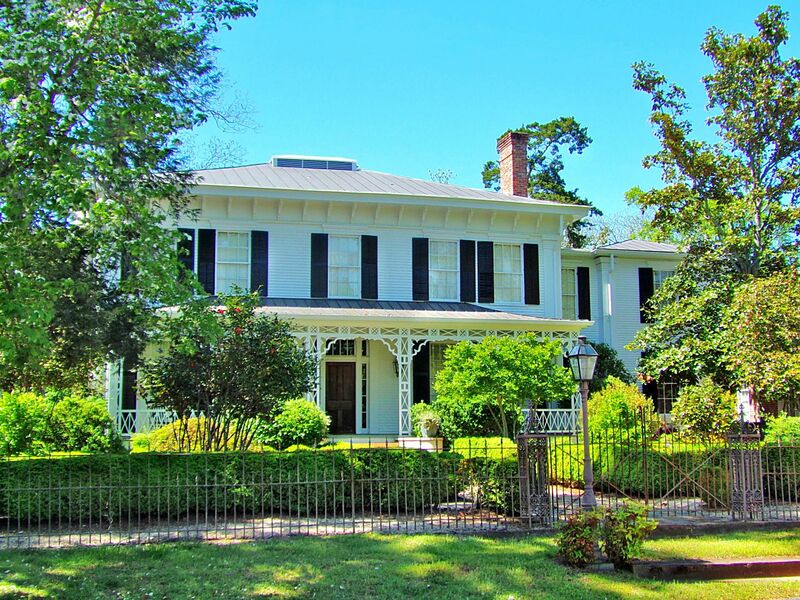 This impressive Grand Victorian was built in the 1870’s. The homes shown in the gallery below date from 1850 to 1890. Each one has been lovingly restored to its original grandeur. Click on the first one to open a slide show on the group. Obviously the perfect time to visit Madison is in the Spring when the Dogwood and Azaleas are in bloom. My visit was on Easter Sunday, April 20th, and Spring was about a week past her prime. Make this amazing historical village one of your Bucket List items if you haven’t already. 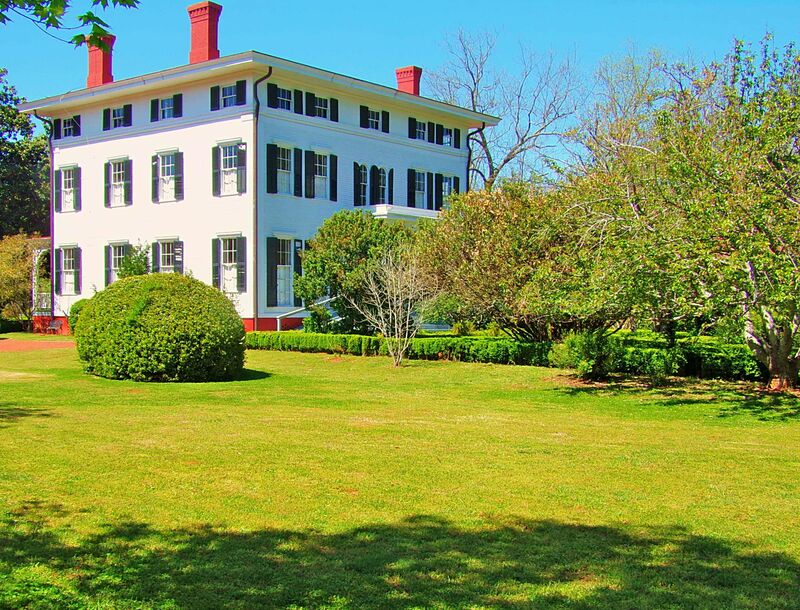 These photographs show but a representative few of the homes that you will see during your carriage or walking tour. All of them will take your breath away. They sure took mine. And, by the way, if you enjoy Madison, make sure you visit Covington, just to the west. It’s collection of stately mansions is just as exciting, in a different way. 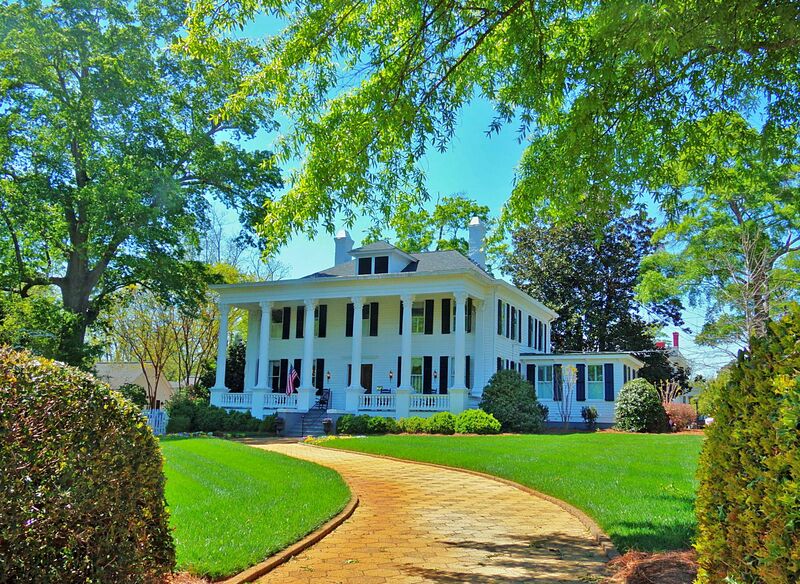 Vann…..this was one of Brad’s favorite towns…..he and Bill Jesson stayed there while attending the Masters one year. He always wanted to take me for a visit, but unfortunately time ran out. Just loved seeing your pictures of these grand homes. Several remind me of the St Charles area of New Orleans. 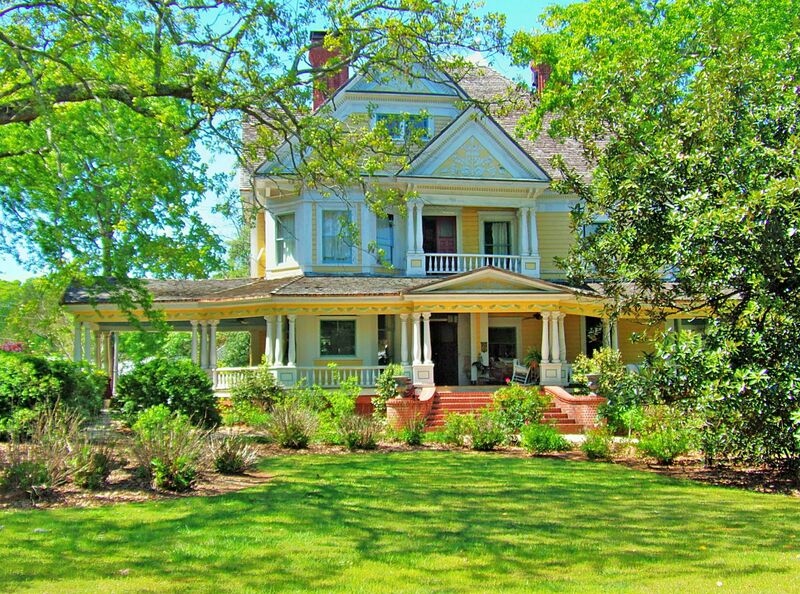 My favorite was the Grand Victorian, love the porches!! This is definitely on my bucket list of places to visit. 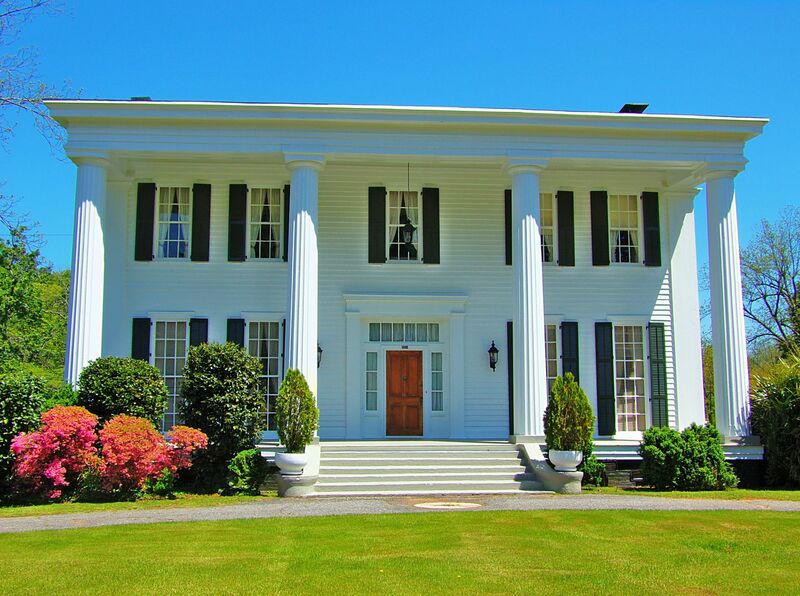 If you are headed east from Atlanta get off at Exit 93 and visit Covington, a city with as many pre civil war mansions as Madison and is also home to many of your favoirte TV series such as the Vampire Diaries and the Heat of the Night as well as well known movies. Then go on to Madison, if you need to see more of colonial history. Some great photographs – Madison is one of the very prettiest places in Georgia. May I point out one correction: Sherman burned Atlanta in 1864 not 1865. In fact, his Armies continued through Georgia for the rest of 1864 and he famously presented Savannah as a 1864 Christmas present for Abraham Lincoln. Of course, present-day Savannah is probably the prettiest place anywhere in the South – in my humble opinion. Thanks again for the great pictures. 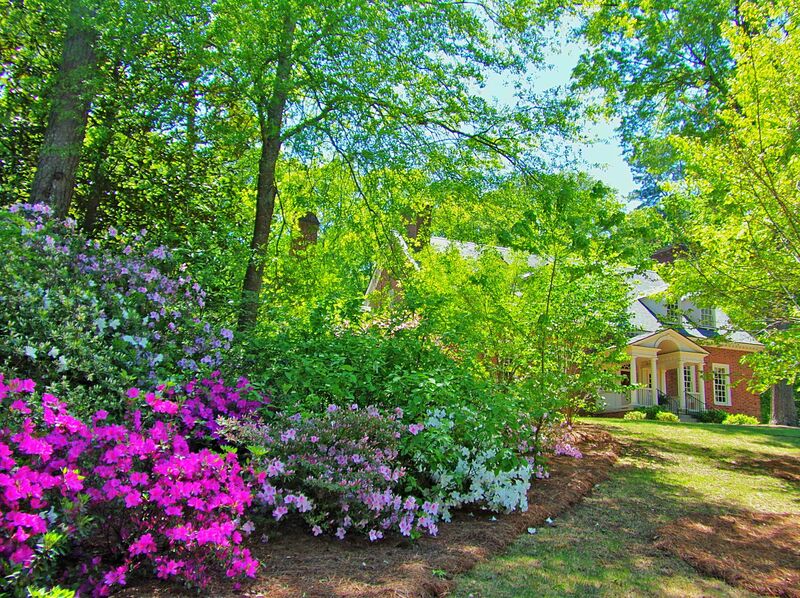 Join us at Madison in May spring Tour of Homes and Gardens from May 1- May 3, 2014. 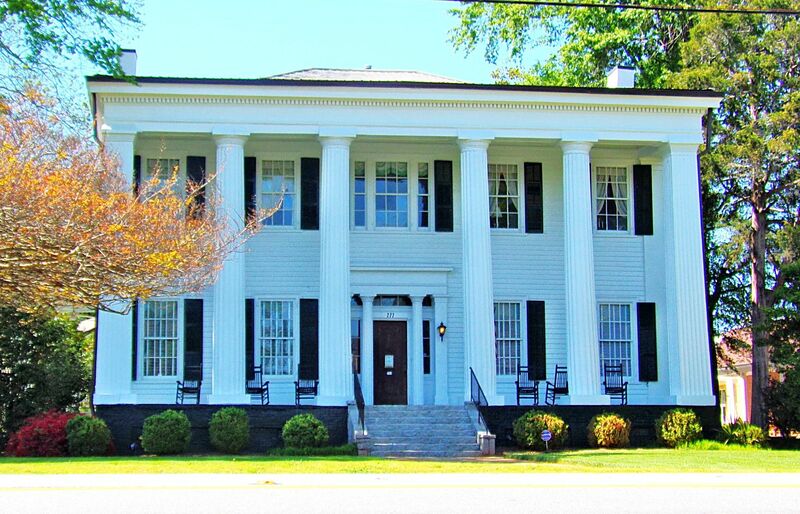 Call the Madison-Morgan Cultural Center at 706-342-4743 and check out our website http://www.mmcc-arts.org for a complete listing of homes and tour ticket pricing. Four years ago, I visited Madison, and was blown away by the Springtime beauty. I toured Heritage Hall last week. The lovely lady guiding the tour told us that Senator Hill actually resigned from the Senate in 1861 rather than cast a vote either way on the question of Georgia’s secession. Then after the war he was re-elected to the Senate. I’ve always intended to return to return to Madison and take that tour. I had always wondered about that vote. Seemed strange that he survived a no vote. Thank you….